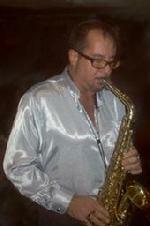 Frank, Val and the Band have entertained at numerous events and venues. Known throughout the region, Val Rogers is an accomplished vocalist and entertainer. After receiving her vocal training from the University of Connecticut, she toured with the USO overseas and throughout the US. Her 5 woman show wowed military personnel and their families at venues including military bases, Air Craft Carriers, New York City Fleet Week and USO Woman of the Year for Barbara Bush. As a performer in theater, Musicals & Comedies, and Television commercials Val has the stage presence to capture the audience and hold them. Her singing style melds beautifully whether with a big band or a contemporary small ensemble. Performing and recording with some of the regions top Swing bands Val's rave reviews include "complete performer", "the best", and "great voice!" to name a few. 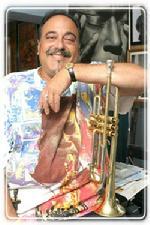 <?xml:namespace prefix = o ns = "urn:schemas-microsoft-com:office:office" /> Frank Pappalardo is recognized as one of the areas best bandleaders. His "Emcee" ability to connect with the audience and adjust music selection and programming for their enjoyment has resulted in numerous client comments and repeat bookings. 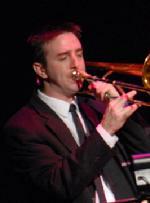 Receiving his music degree from the University of Connecticut, he has performed with many of the regions top big bands, small groups, and show - pit orchestras as musician as well as Music Director. Frank is also a commercial voice over artist, providing voice tracks for television commercials and corporate presentations. He is the voice of the UConn Marching Band and can be heard throughout the north-east at football and National Bowl games. Frank's experience in the entertainment field transcends beyond on-stage performance to include tour manager for 2 European tours and Disney World performances. A Canadian-born saxophonist and keyboardist, Pais Ramirez is known for his wailing tone and cross-over solos ranging from R&B to Jazz to Funk to Blues. Studying with famous jazz pianist, Oscar Peterson, he has performed with Reg Kellin (Lenny Breau's former drummer), George Blondheim (film composer), Tilo Paiz (Carlos Santana's drummer), and many other heavy-hitters over his accomplished musical career. He has enjoyed guest appearances with dozens of groups including K.D. Lang, Alfie Zapacosta, and Mark Haines and the Zippers. Pais relocated to New England in the summer of 2005 and has since then performed extensively throughout New England, New York City and beyond with Jazz groups and Big Bands including his own Jazz Quartet. Additionally, Pais is popular among R&B bands and has shared the stage with Jeff Pitchell, Tim MacDonald, Burt Teague, and more. Pais is also a composer of what he likes to call "Future Standards". Check back here soon for more info and Biographies !